It is based on the principle of genetic determinacy, a belief that essentially states – at our core we are our genes. Before we go further into examining this concept and its relevance to Craniosacral Therapy, we need to first examine what a gene is and what it does. These protein chains are not long lasting. They wear out once they have been used. Therefore, there needs to be a constant supply of new proteins, coded for each of the specific functions that they are utilised for. In 1953, the genetic code of DNA was discovered to be the blueprint that defined amino acid sequences comprising a protein. The DNA blueprint responsible for each specific protein is referred to as a gene. Since proteins define the nature of the organism, and since DNA is responsible for the nature of proteins, geneticists have concluded that DNA “controls” the structure and function of living organisms. This is the essence of genetic determinism. In the late 1980’s to early 1990’s scientists undertook a massive project to map the entire genetic code of a human being. This Human Genome Project was expected to revolutionise medicine. It was expected that, within a number of decades, genetic medicine would be able to “cure” such diseases as diabetes, Alzheimer’s, cystic fibrosis and many more. The reason for this is that it was originally thought that the body needed one gene to code for each of the different proteins that are utilised for everyday body functions. 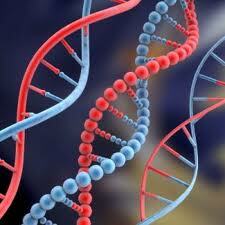 Many genetic disorders arise because of problems with one or more proteins, and therefore one or more genes. If geneticists can identify the individual gene(s) that are involved, they may be able to engineer them in such a way as to create healthy versions. Because there are approximately 100,000 different proteins that the body needs to manufacture, it was expected that the project would find the same number of genes, together with an additional 20,000 regulatory genes. 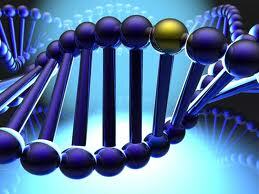 However, the Human Genome Project found that human beings only have approximately 25,000 genes. This is approximately the same number of genes that are possessed by less complex organisms, such as nematode worms, fruit flies and even rodents. Because of this finding, the concept of one gene coding for one protein has had to be scrapped. Even the notion that the nucleus is the brain of the cell is being challenged. If the nucleus and its genetic material were the control centre of the entire cell, then removing them should kill the cell almost instantaneously. However, this is not the case. If a cell has its nucleus removed, it can continue to function for up to two months or more. What does happen however is that without the genetic material, the cell is unable to divide or reproduce any proteins that are essential to cellular repair. Therefore, mechanical dysfunction ultimately becomes the cause of cell death in enucleated cells. Recent research shows that the conventional view that our genes are set at birth and don’t change from one generation to the next, unless through cellular mutation, is wrong. Our genes are constantly being influenced by different factors in our environment. These environmental signals can therefore be considered to be the primary control of genetic activity. In other words, the in-depth focus on “nature” of geneticists over the last few decades only reveals half the story. The effects of “nurture” are as, if not more, important. This was highlighted by research in 2003 that showed that an enriched environment could override genetic mutations in mice. Genes have no intrinsic ability to turn themselves on or off. In other words, they are unable to fully regulate themselves (they are not self-emergent). Rather, the genes are induced to replicate proteins when they receive information from the cytoplasm and extra-cellular environment. It has also been shown that forces in the cytoplasm, extra-cellular environment and even the environment outside of the body signal the gene to replicate. These forces are biochemical, bioelectrical and biomagnetic in nature and are little understood by the scientific community. This concept of extra-cellular forces affecting the expression of genes is known asEpigenetics. Within the genetic sciences, the field of epigenetics is slowly starting to emerge as a more holistic orientation to the more reductionist paradigm of genetic determinacy. Dr. Eric Blechschmidt, a German embryologist, has for many years pioneered research into an epigenetic understanding of embryological development. His work has enormous relevance for our study of Craniosacral therapy. In his work, Dr. Blechschmidt highlights the importance of innate forces found within the fluids of the embryo. He has stated that the genes are like a jumble of letters, and the epigenetic forces within the fluids makes the words. This understanding is paralleled in the biodynamic tradition of Craniosacral therapy, where we talk about the inherent organising forces at work within the fluids of the body. It is an intelligence within the fluids, rather than the genes that is the decisive factor causing the organism to differentiate. Genetic expression, and therefore the form of the organism, is due to the action of specific forces, within the fluids, acting upon the developing embryo. In our early embryological development, the genes play a more passive role, while the forces have a more active role. Dr. J. Jealous, Around the Edges, 1994. I am thrilled to see more articles like yours on epigenetics! As a board certified lactation consultant in private practice I truly feel the reason I am seeing more and more midline defects in babies is due to epigenetics. Keep up the important work so we can increase awareness! You may find it interesting to look at or read “The Biology of Belief” by Dr Bruce Lipton – where he explores these concepts in some depth, and makes a strong case for directing our attention to the cell membranes. In the second half of the book, he discusses the application of Kinesiology techniques and concepts to influence the working of the genes. I was about to suggest the same thing as Linda (above). The book is easy to read and understand – which makes it more digestible than a lot of academic / biology books.